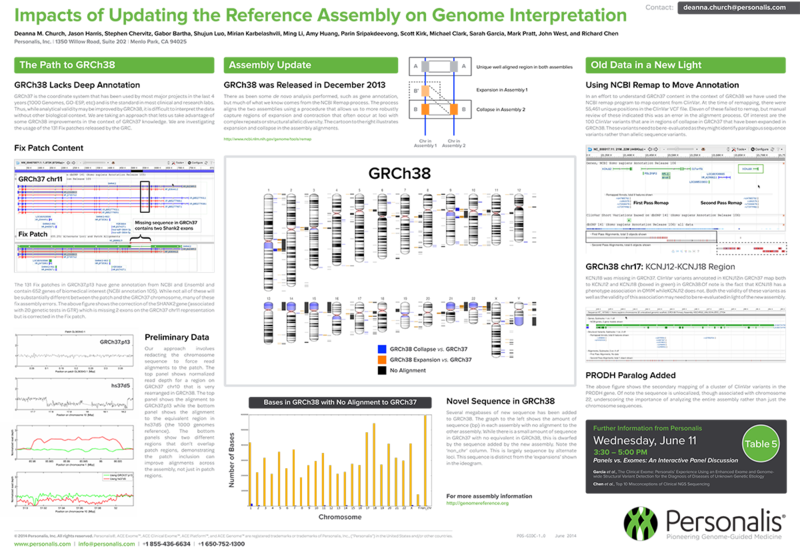 GRCh38 Lacks Deep Annotation GRCh37 is the coordinate system that has been used by most major projects in the last 4 years (1000 Genomes, GO-ESP, etc) and is the standard in most clinical and research labs. Thus, while analytical validity may be improved by GRCh38, it is difficult to interpret the data without other biological context. We are taking an approach that lets us take advantage of some GRCh38 improvements in the context of GRCh37 knowledge. We are investigating the usage of the 131 Fix patches released by the GRC.